I'd like to try riding to the airport or to public transit when I travel. Does anybody do this? Any suggestions for how to secure a bike if you're going to need to leave it for a week or so? This isn't uncommon in our neck of the woods. If you're a light packer, taking your bike the the airport can be a huge money saver. If your airport doesn't have a bike locker, bring two trusty u-locks with you. Use one u-lock to secure your front wheel and down-tube to one pole, and the other u-lock secure your rear wheel to another pole (please, never use a cable lock unless you're hoping to file an insurance claim for your bike when you get back into town). Try not to use your favorite bike if you have more than one. Either leave fancy accessories and lights at home or take them off and take them with you when you arrive at the airport. If your seat post uses a quick release, I would recommend replacing it with a bolt-on clamp. This won't guarantee your seat (or other bolted on parts) is safe from a well prepared perpetrator, but the majority thieves are looking for a quick and easy score, and will skip over your well-secured components in favor of lower hanging fruit. I left my bike at the airport for a week and would do it again. It seemed to be the safest place in the whole city, safer than my home. It depends on where the bike racks are; here in Edinburgh they are right next to the entrance to the departure check-in hall. It's inside the vehicle perimeter, and a security guard stood with a submachine gun next to it. There are probably also numerous security cameras watching the whole entrance area (and unlike most urban cctv, they are properly monitored!). If you only use a cheap lock that can be picked or cut with small tools, then your bike is at risk wherever you leave it. But any decent D-lock requires a power tool. An airport, even without any special bike security arrangement, has all the features of a very secure place. Lots of people at all time, regular security guard patrols, cameras, access control, etc. So I really wouldn't worry too much, as long as you have a solid D-lock that needs bigger tools. 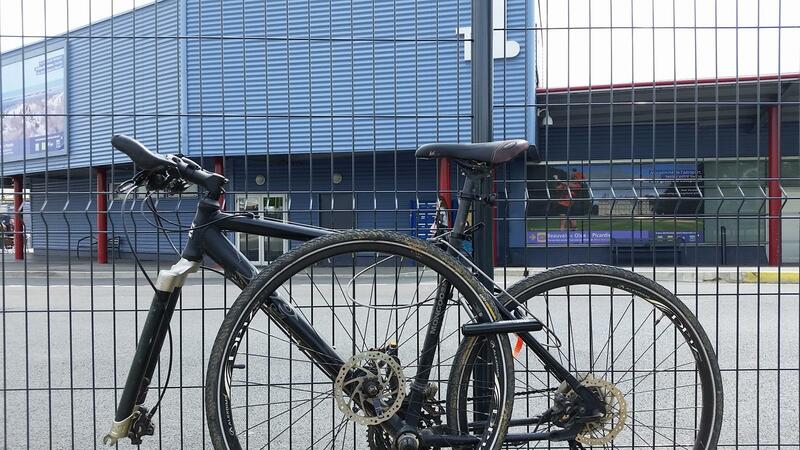 I have previously left my bike in Paris Beauvais airport (BVA) which is not equipped for bicycle parking at all. I only found out that there is no dedicated bicycle parking when I arrived. The airport is ~90km from where I live and I had 2 hours until take off, so cycling back home was not an option. I locked the bike to the fence on the inner side of the car park. Only had one D-lock with me, so did the best I could with it. Planning to cycle to BVA next weekend again. I will most likely use 2 or more locks. Is there a way to attach a safe box to a bike? Which bike lock should I choose? 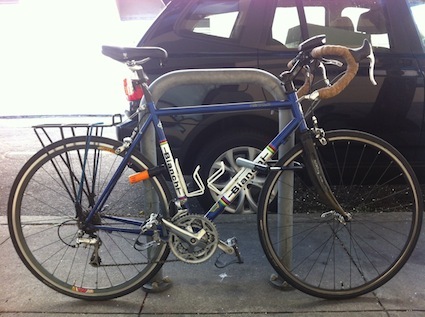 How can I reversibly uglify a bike?